Our mission is to advance the state of knowledge in nanoengineering of functional porous structures and physics of micro/nanoscale transport. Our current research is focused on micro/nanoscale transport and nanotechnology for energy science and health applications, nanoengineering of functionalized membranes for energy conversion and storage and filtration/separation applications, heat and mass transfer in micro/nanostructures, microfluidic reactor platforms for fundamental energy research, and portable power. 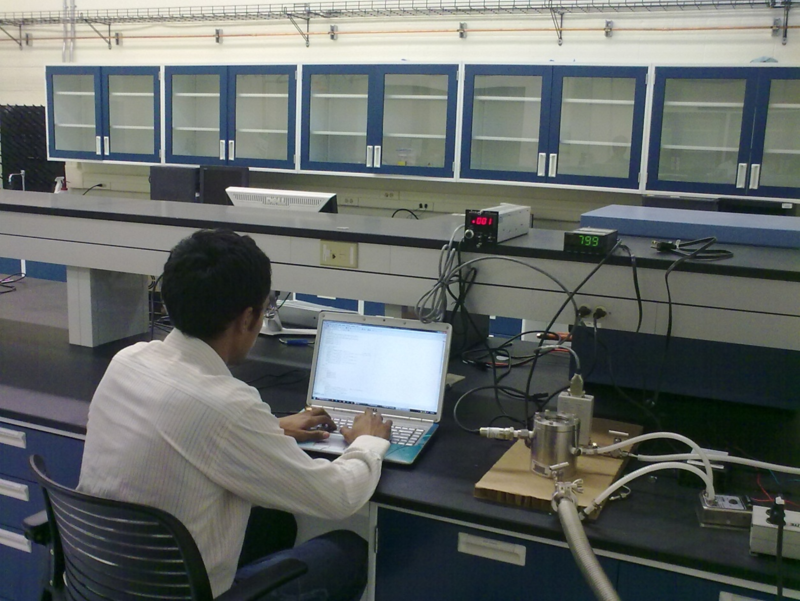 NESLabs research brings together multiple disciplines of Engineering and Science in order to better understand the physics of transport in micro/nanoscales and develop the next generation structures and systems with enhanced performance and efficiency. The lab is headed by Dr. Saeed Moghaddam and is a part of the Interdisciplinary Microsystems Group at University of Florida. Call for draft papers for the ASME 2017 15th International Conference on Nanochannels, Microchannels and Minichannels. ICNMM2017 will be held on August 27-31, 2017 in Cambridge, MA. Congratulations to Devesh Chugh for being selected as the Herbert Wertheim College of Engineering Outstanding International Student for 2016. 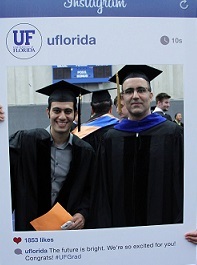 Dr. Moghaddam promoted to the rank of Associate Professor with tenure by the Florida Board of Trustees. The Board of Trustees recognizes his international scholarship, quality and impact of teaching, and contributions to the University of Florida and to society. Dr. Moghaddam selected as the recipient of the 2014-2015 Pramod R. Khargonekar Award. The award recognizes the most accomplished Assistant Professor undergoing review for tenure and promotion by the College of Engineering. Under a $0.8M Department of Energy (DOE) award, in a partnership with Oak Ridge National Laboratory (ORNL) and General Electric (GE) Dr. Moghaddam's group is studying the physics of an ultrasonic drying process for fabrics as an alternative approach to conventional energy-intensive thermal-based drying. Dr. Moghaddam received a $1M grant from the Office of Energy Efficiency and Renewable Energy (DOE) for the development of innovative building efficiency technologies. The University of Florida is one of two academic institutions that has received funding under this program as a primary awardee. The project is among 7 selected technologies with potential to dramatically reduce energy consumption in buildings. In 2013, energy consumption in buildings accounted for nearly 40 percent of all energy use in the U.S., an estimated cost of $413 billion. In the announcement, Kathleen Hogan, Deputy Assistant Secretary for Energy Efficiency stated that "These innovative approaches will improve smart-building technologies, including lighting, lighting controls, highly insulated walls and windows, as well as increase efficiency measures that complement a building's entire energy management system." Further details about the announcement can be found here. Dr. Moghaddam received a $0.3M grant from the National Science Foundation (NSF) to study interfacial phase-change transport events in flow boiling on micro- and nanotextured surfaces. This study will examine the boiling phenomena with an unprecedented spatial and temporal resolution. Dr. Moghaddam received the ASME ICNMM 2014 Outstanding Early Career Award for his research contributions in the field of multiphase flow and enhanced heat and mass transfer in micro structures. Congratulations to Abdolreza Fazeli for receiving the Best Poster Award at the ASME ICNMM 2014 for his poster titled "Hierarchical Biphilic Micro/Nanostructures for Altering the Dynamics of Critical Heat Flux (CHF)"
Congratulations to Rasool Nasr for receiving his PhD in Mechanical Engineering from the University of Florida in the summer of 2014! Congratulations to Dr. Moghaddam for being recognized as the George Sandor Faculty Fellow in the Department of Mechanical and Aerospace Engineering! As a member of the newly funded $5M National Science Foundation (NSF) Multi-functional Integrated System Technology (MIST) Center, Dr. Moghaddam, and colleagues, are studying doped hafnium oxide ferroelectric thin films for sensor/logic/actuator/memory (SLAM) node purposes. Dr. Moghaddam was awarded a $0.2M grant from Oak Ridge National Laboratory (ORNL) to develop an absorption based water heater/dehumidifier. This technology patented by Dr. Moghaddam uses heat to drive an open absorption cycle. In addition to providing hot water, the system also serves as a space dehumidifier. Dr. Moghaddam in collaboration with Prof. Mark Orazem (ChemE) team up with Fortune 500 chemical company Mosaic under a $1.5M grant to develop a process for continuous electrokinetic dewatering of phosphatic clay suspensions. Phosphate clay suspensions are a by-product of strip mining, rendering large land areas unusable for development. Electrokinetic dewatering offers the opportunity to reclaim these areas. Dr. Moghaddam was awarded a $1.6M grant from the the Advanced Research Projects Agency-Energy (ARPA-E) to develop a membrane based absorption cooling system. This technology permits the use of solar or waste heat to drive an absorption chiller whose compact size and weight is unprecedented. Dr. Moghaddam received a $1M grant from the the Advanced Research Projects Agency-Energy (ARPA-E) to study the potential of membrane-based absorption and desorption processes.